Engineers at NASA’s Armstrong Flight Research Center have developed a Real-Time Sonic Boom Display for aircraft that enables pilots to control boom placement. The system can be integrated into a cockpit or flight control room to help pilots place loud booms in specific locations away from populated areas – or prevent them from occurring. 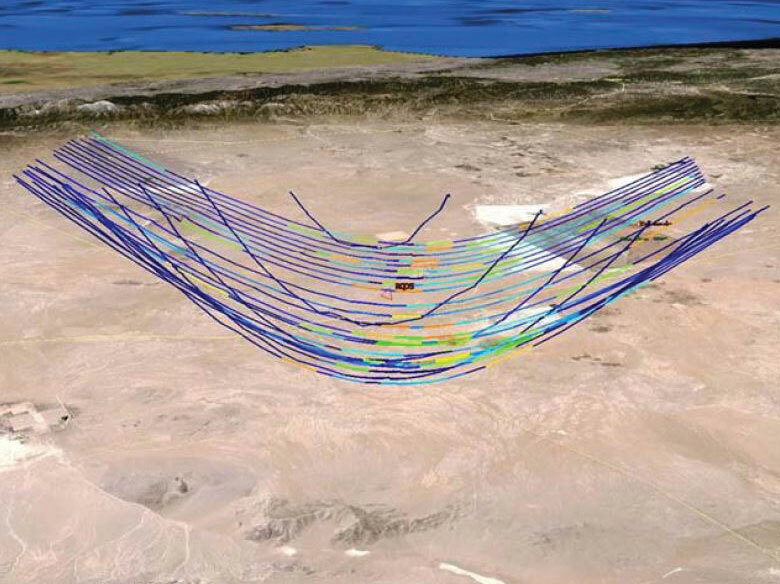 Armstrong’s sonic boom display system leverages existing tools co-developed and enhanced by the U.S. Air Force and NASA to predict sonic boom propagation to the ground. 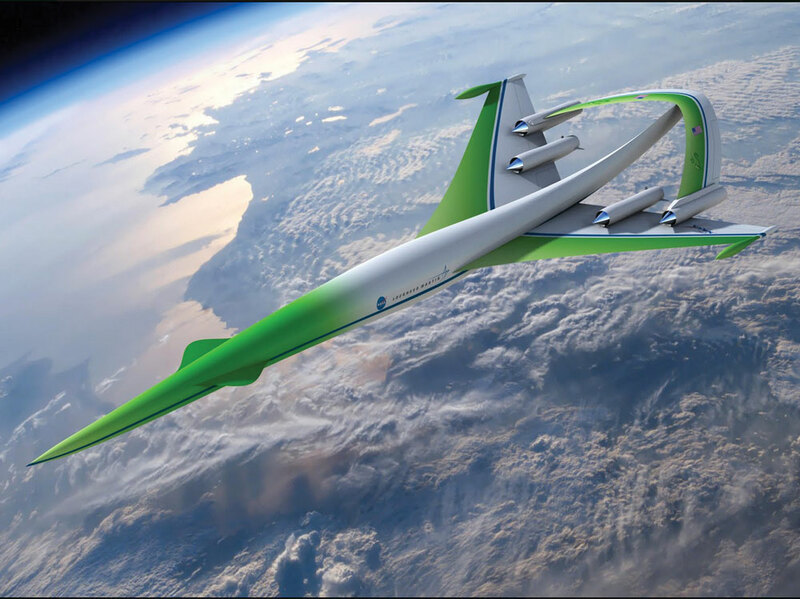 The technology can be used on current-generation supersonic aircraft, which generate loud sonic booms, as well as future-generation low-boom aircraft, anticipated to be quiet enough to be flown over land. The system processes vehicle and flight parameters as well as data regarding current atmospheric conditions and provides real-time information regarding sonic boom location and intensity, enabling pilots to make necessary flight adjustments to control their placement on the ground. If you would like more information about this technology, please contact us by phone or e-mail: (919) 267-1200, drc008001@fuentek.com. Because pilots can control the location and intensity of sonic booms, or avoid them altogether, this technology may help enable future-generation supersonic aircraft to fly over land. The tool enables in-flight carpet boom predictions as well as control room flight planning and analysis. This technology allows for appropriate placement of the boom to minimize its impact on the ground. The system uses real-time data to generate its information, allowing pilots to respond to changes in flight parameters or atmospheric conditions and make appropriate adjustments to minimize sonic boom exposure. The technology provides a system that will allow air traffic controllers to analyze flight plans for approval, monitor aircraft in flight, and review flight data to enforce regulations. Several companies are developing commercial aircraft that will require this kind of technology to ensure that sonic booms do not adversely affect populated areas. Regulators will require this type of system to approve flight plans, monitor aircraft in flight, and review flight data. The system is helping NASA researchers develop trajectories in aircraft simulators and increase test point efficiency during actual flights to reduce boom noise. When first introduced in 1976, supersonic commercial air travel promised Superman-like speed to commercial airlines and the flying public. But as supersonic aircraft travel at speeds near or above Mach 1 (the speed of sound), they generate thunderous sonic booms that can disturb people on the ground. For this reason, the United States and other countries currently ban supersonic travel over land. A supersonic shock wave forms a cone of pressurized air molecules that propagates outward in all directions and extends to the ground. 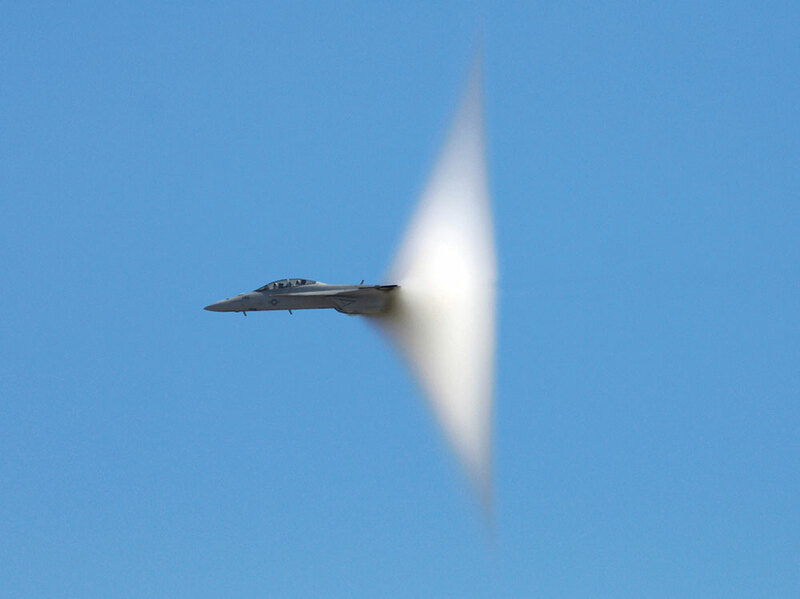 As the cone spreads across the landscape along the flight path, the shock wave creates a continuous sonic boom along the full width of the cone’s base. Factors that influence sonic booms include aircraft weight, size, and shape, in addition to its altitude, speed, acceleration and flight path, and weather or atmospheric conditions. NASA’s Real-Time Sonic Boom Display takes all these factors into account and enables pilots to control and mitigate sonic boom impacts. Armstrong’s technology incorporates 3-dimensional (3D) Earth modeling and inputs of 3D atmospheric data. Central to the innovation is a processor that calculates significant information related to the potential for sonic booms based on an aircraft’s specific operation. The processor calculates the sonic boom near a field source based on aircraft flight parameters, then ray traces the sonic boom to a ground location taking into account the near field source, environmental condition data, terrain data, and aircraft information. The processor signature ages the ray trace information to obtain a ground boom footprint and also calculates the ray trace information to obtain Mach cutoff condition altitudes and airspeeds. Prediction data are integrated with a real-time, local-area moving-map display that is capable of displaying the aircraft’s currently generated sonic boom footprint at all times. A pilot can choose from a menu of pre-programmed maneuvers—such as accelerations, turns, or pushovers—and the predicted sonic boom footprint for that maneuver appears on the map display. This allows pilots to select or modify a flight path or parameters to either avoid generating a sonic boom or to place the sonic boom in a specific location. The system also provides pilots with guidance on how to execute a chosen maneuver. A patent has been issued to NASA for this technology (U.S. Patent No: 8,145,366. No other system exists to manage sonic booms in-flight. NASA’s approach is unique in its ability to display in real time the location and intensity of shock waves caused by supersonic aircraft. The system allows pilots to make in-flight adjustments to control the intensity and location of sonic booms via an interactive display that can be integrated into cockpits or flight control rooms. The technology has been in use in Armstrong control rooms and simulators since 2000 and has aided several sonic boom research projects. For example, the system was used on NASA’s Farfield Investigation of No Boom Threshold (FaINT) program and the Superboom Caustic Analysis and Measurement Project (SCAMP), both of which increased mission efficiency in gathering valuable sonic boom research data. The technology is also a critical component of NASA’s Fundamental Aeronautics Program High Speed Project, which is seeking to develop and validate tools, technologies, and concepts to overcome barriers to practical high-speed vehicles. Aerospace companies have the technological capability to build faster aircraft for overland travel; however, the industry has not yet developed a system to support flight planning and management of sonic booms. The Real-Time Sonic Boom Display fills this need. The capabilities of this cutting-edge technology will help pave the way toward overland supersonic flight, as it is the key to ensuring that speed increases can be accomplished without disturbing population centers. Read this news article about whether sonic booms could cause false alarms for earthquake warning systems. This technology is part of NASA’s Technology Transfer Program, which seeks to transfer technology into and out of NASA to benefit the space program and U.S. industry. NASA is seeking companies to consider collaboratively developing and licensing the Real-Time Sonic Boom Display technology (DRC-008-001).